Not sure how to see more results in your ecommerce? Use these simple strategies. 96% of Americans with internet access have made an online purchase. You can’t ignore the impact online sales can have on your business’s success — it should be a no-brainer. It’s no secret: Ecommerce is on the rise. It’s one of the hottest topics in the business world. Ninety-six percent of Americans with internet access have made an online purchase, with 80% in the last month alone. You can’t ignore the impact your ecommerce activity can have on your business’s success — it should be a no-brainer. But competition is increasing at an extreme rate. According to Forbes, ecommerce is growing 23% annually. With so many buying options at consumers’ fingertips, it’s crucial for your business to stand out from the rest. But how can you know what adjustments to make with your site to accomplish your sales goals? Solid ecommerce strategies can help you reach a wider audience, define brand identity, and retain customers. To get there, you don’t just need to know which strategies will push you toward success — you’ll also need to understand what mistakes you might be making that are holding you back. Factors such as product pricing, customer reviews, communication, trust, shipping prices, and customer engagement can be tricky to navigate, but they have the power to make or break your ecommerce conversions. Product pricing is tricky in ecommerce. You might assume that lower pricing on a sales page will always have a positive effect on conversions but, surprisingly, it can have the opposite effect entirely. While low pricing seems tempting, research shows that profitability increases with value-based pricing strategies and higher prices; low prices actually have a negative impact on profit. The big issue with low pricing is that it establishes your customers’ perception of the product’s value, so even a high-quality item will be seen as lower quality if it has a low price. For example, would you rather invest in a $15 pair of jeans or a $50 pair? Your customers want good-quality, long-lasting products, so your pricing should reflect the value you want customers to perceive in your product while still keeping it affordable. This effect is especially pronounced when selling products where the quality of the product is not immediately apparent. For example, with wine: Most wine aficionados would rather buy a $50 bottle of wine than a $10 bottle, even if they know nothing about the quality of either. This is because the price establishes their perception and expectation of the quality. One of the best examples of how higher pricing can affect conversions is found in Robert Cialdini’s book, Influence. In it, he describes a scenario where a local jeweler accidentally doubled all her prices for turquoise jewelry. Although she had meant to discount the jewelry by 50% because it was not selling, her mistake actually resulted in her selling out of all turquoise jewelry. With the inflated price, her customers’ perceptions of the turquoise changed — they assumed it had a higher intrinsic value because of the higher price. If you are hesitant to raise your prices, there’s no need to do it all at once. Run a split test on your sales page with a higher price for a single item and see what effect it has on conversions and your overall profitability. You might be pleasantly surprised to see demand increase, while enjoying a higher profit per item sold. Product reviews have a huge effect on conversions. In fact, research shows that 90% of consumers read online reviews and 88% of them trust online reviews as much as personal recommendations. So you might think it’s safe to assume that the more five-star reviews the better, right? Not so fast. CXL’s Academic Insight found that a “balance of positive and negative comments” will have the most effective impact on viewers. If potential customers see only five-star reviews on your product, they’re going to be suspicious. It’s not uncommon for deceptive business owners to pay for fake product reviews that are overwhelmingly positive. Mintel found that 57% of surveyed consumers are suspicious of companies or products that only show positive online reviews, and 49% suspect that companies provide incentives for positive reviews. Your customers are savvy, and they know that if there are only five-star reviews of your product there’s a good chance that those reviews are fake. If there is a wider range of product ratings, your potential customers will trust the accuracy of the reviews they read. In fact, there is some evidence that a few polite, but negative, reviews can actually increase your prospects’ positive opinion of your product. The “blemishing effect” explains how when a customer receives small doses of mildly negative information, it can actually result in more positive feelings overall toward a product or service. Baba Shiv, professor of marketing at Stanford Graduate School of Business, says, “We find that as long as the negative information about a product is minor, your pitch [to a consumer] might be more persuasive when it calls attention to that negative, especially if consumers have already learned some positive things.” It’s still important that this information is presented after positive information, and that it is only mildly negative. This strategy encourages customers to purchase from you, and it improves the reputation of your brand. Potential customers who glance over your reviews will see that you take the time to fix your mistakes promptly and effectively. This will lead them to view your brand as honest and reputable, which will make them feel more comfortable purchasing from you. So, don’t remove or hide all negative reviews from your sales pages. Having some variance in the ratings that customers share can really increase your conversions. Encourage reviewers to share their honest opinions. Even if potential customers are ready to try your product, they might still be worried that they’ll be up the creek without a paddle if something goes wrong. What if you don’t follow through on delivering their order on time, it arrives in less-than-perfect condition, they need to exchange it, or they just don’t like it after giving it a try? Leaving potential customers in the dark about what to expect if they need help can really hold back your conversions, which is why it’s so important to add a Frequently Asked Questions (FAQ) section to your site. In addition to boosting your sales conversions, an FAQ page can also reduce the volume of support requests since your customers will know where to look first. In fact, Zendesk found that 91% of customers say they would use a knowledge base (like an FAQ page) if it met their needs, rather than calling in for support. To create your own FAQs, look through past support requests and questions from potential customers about the product, return policy, and shipping information. Adding product information that addresses FAQs can have a major impact on conversions. When your customers are unsure about your product or your policies and can’t find the answer, they are far more likely to give up and look elsewhere. Your customers are worried about having their identity stolen online or being duped into paying for a scam product. According to research by GlobalSign, 77% of consumers are worried about having their personal data intercepted or misused, 55% are worried about identity theft, and 84% would abandon a purchase if data was sent over an unsecure connection. The bottom line is, security matters to your customers, and you need to show them that it matters to you, too. One way to do this is by placing trust seals on your order pages to reassure customers that their information is safe with you. Trust seals matter to buyers more than professional design, personal recommendations or well-known branding, which is surprising. An Econsultancy survey asked participants, “If you are shopping from a retailer you don’t know well, how would you decide whether to trust the website?” Trust seals were the most popular choice. They were selected by 48% of respondents, more than any other indicator of trust. A/B tests have also revealed that the simple addition of a trust seal can have a large impact on conversions. In one test, Blue Fountain Media was able to achieve a 42% increase in conversions just by adding a VeriSign seal to its form. To get a trust seal for your ecommerce site, you’ll need to get an SSL certificate from a provider such as Norton or Verisign. According to a 2017 study, a whopping 94% of consumers consider protection against cybercrime (fraud, theft, forgery, etc.) and protection of data privacy to be very important to their online purchase decisions. With this in mind, the increase you’ll see in conversions after solidifying security on your site should be well worth the investment. Do you always charge for shipping? If so, you might want to reconsider that strategy. Free shipping and returns are incredibly important to online shoppers. Business Insider found that 88% of consumers say that they value free shipping over fast shipping, which gives you an idea of what to prioritize in your delivery process. If the peaked customer interest in free shipping isn’t enough to convince you, you may want to consider that a lack of free shipping may be hurting your sales as well. BigCommerce fond that 66% of online shoppers have decided not to buy an item purely because of its shipping costs. Although large online retailers like Nordstrom and Zappos have had success with free shipping, you may be wondering if it’s really viable for your business, especially if you’re considerably smaller. Free shipping can be costly for your business if you aren’t careful, but there are many case studies which prove that it can increase not only your conversion rates, but also your overall profitability. Orders with free shipping encourage customers to buy more. One of the most successful free shipping strategies is Amazon’s booming Prime program. Amazon users with a Prime account spend an average of $1,300 each year on the platform, compared to the $700 average yearly spending of non-Prime members. While your success may not be as dramatic as the biggest ecommerce corporation around, you can still expect a significant sales increase after making the switch to free shipping. 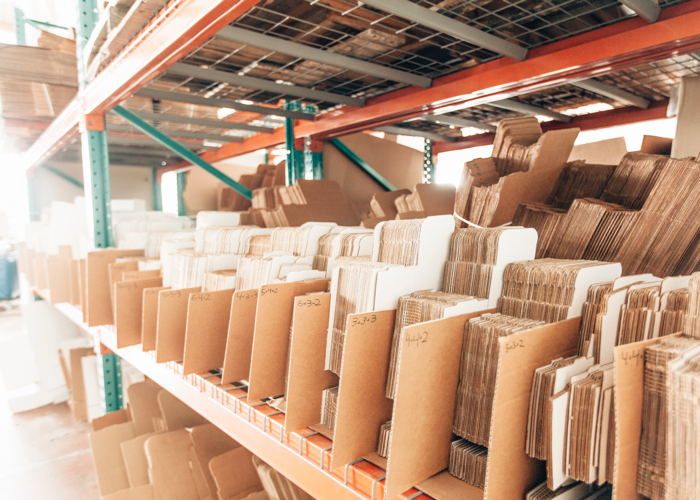 As long as you keep your shipping costs beneath your increased sales, you’re coming out on top. The free shipping offer doesn’t have to apply to every order on your site to increase conversions. For instance, Leaders RPM created a strategic free shipping offer that has a checkout rate of 21.72%. On orders from $30-$50, they provide a free shipping code that is only valid for 10 minutes, which creates a sense of urgency and drives customers to purchase right away. By limiting your free shipping to orders that meet a minimum threshold or only apply to specific products, you can boost your conversions and increase overall profitability without risking a big increase in shipping costs for low-profit orders. Even if you do have to charge for shipping, be sure to let customers know upfront so they don’t receive a nasty surprise when they go to check out. Unexpected shipping charges at checkout is the number one reason customers abandon their purchases. To avoid losing potential conversions, it’s important to make sure you and your customers are on the same page.